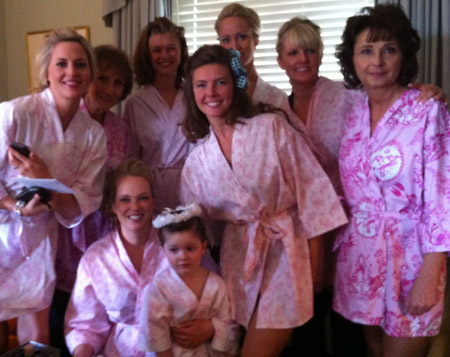 What could be more fun than having all of your attendants wearing a new cotton robe while they dress for the wedding? Nicole wanted her attendants to have something special that they could wear again and again. 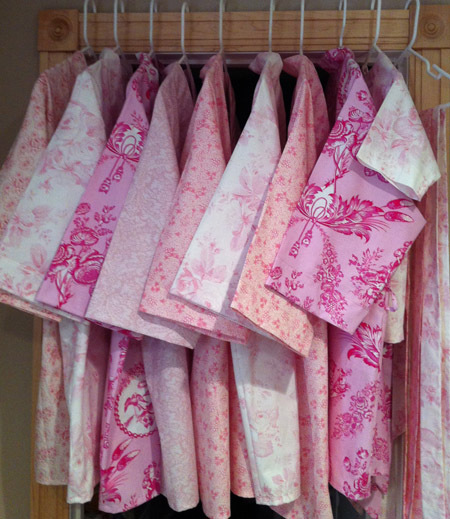 These soft, pink, cotton robes were the perfect choice to bring back memories of a very special day. 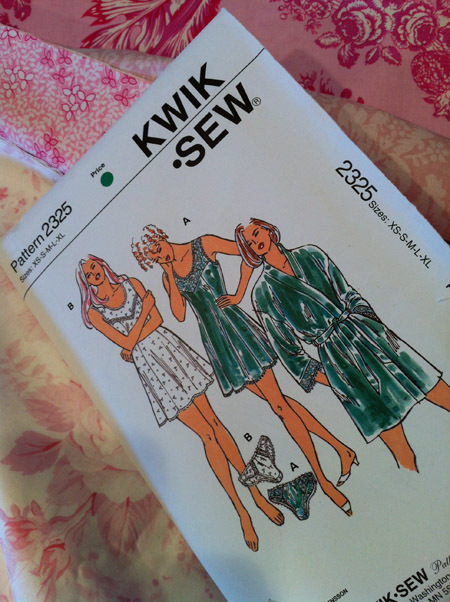 We chose Kwik Sew Pattern #2325. 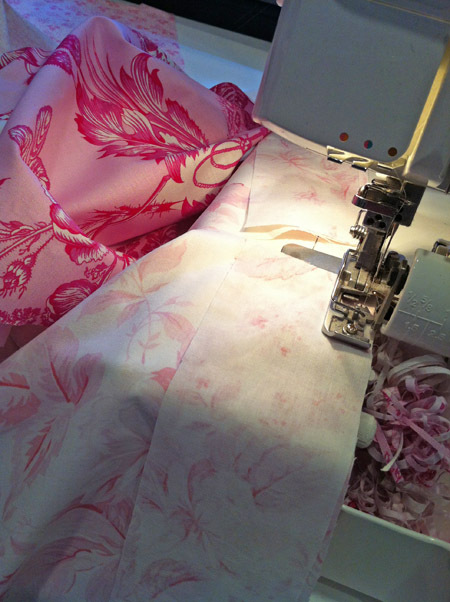 The robe pattern comes in small, medium and large in an easy, belted, wrap style. 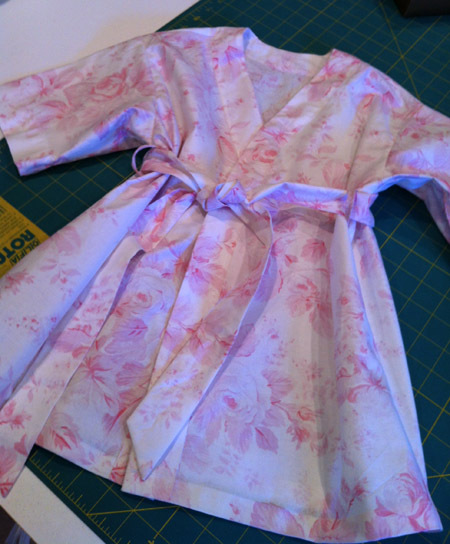 I varied the length of the robes and even made one for the little flower girl. Her robe was made from a discontinued pattern similar to Kwik Sew #3329. The belt loops were made using Bias Binder #88. This saved lots of time and looks so professional. 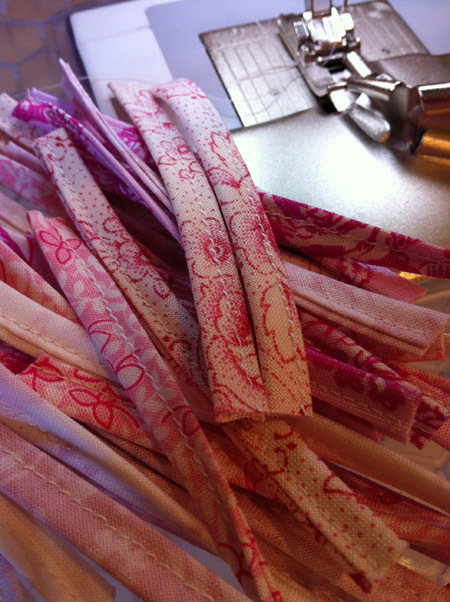 Just cut bias strips and feed them through the binder for a finished “string,” then cut them into pieces for the beltloops. 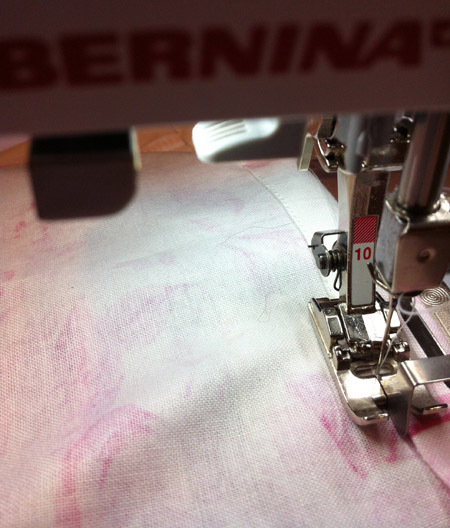 Serged seams provided a quick-to-stitch, clean finish for the seams. Precise topstitching added a finishing touch, easily accomplished using Edgestitch Foot #10 with the needle position moved to one side. These go together in a snap and will be used longer than the traditional bridesmaid gifts!